In an April 2014 blog post, "Timex: Time Spent on Durability," I recounted remembering my father's Timex watch and how much it meant to me to see him wear it. It still reminds me of him when I wear it. It symbolizes our everlasting times together. The special occasion that I wore it was when Central Michigan University's College of Business Administration inducted him into its Hall of Fame in November 2014. This month I discovered Isabel Marant through Net-a-Porter. 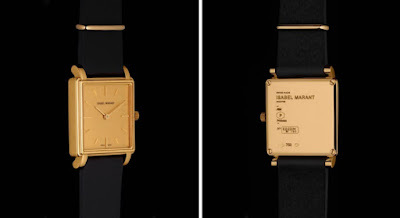 One of her web collection showcasings brought back similar memories of how a wristwatch can be a signifier for a daughter's time with her father. "A hand in my hand. My father's hand. A hand marked by time, magnificent like childhood memories. A thin wrist encircled by a gold watch, which stays in my memory like an extension of him." 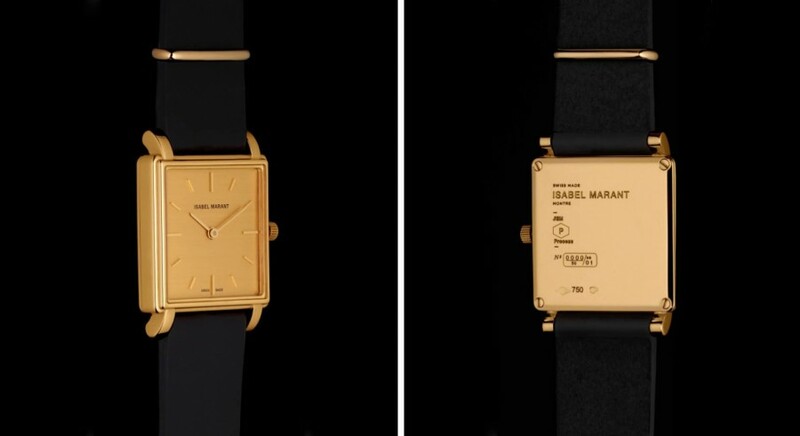 What is particularly noteworthy and laudable about this timepiece is that it represents a global, ethically-based design/production collaboration between Isabel Marant and JEM Process (Jewelery Ethically Minded), also in Paris. The JEM Process is based on a commitment to "transparency of the production chain and full traceability of the raw material" and an eco-responsible sourcing of precious metals, certified Fairmined. Our parental memories can be so dear. I look forward to reporting more ethical design/production wristwatches coming from collaborations of such exemplary, principled caliber.